Our Vision: Optimal prevention and care for all women in Europe with gynaecological cancers. To improve the health and well-being of European women with gynaecological (genital and breast) cancers through prevention, excellence in care, high quality research and education. ESGO aims to achieve high standards of professional training and care for gynaecological oncology in Europe. These goals are accomplished through a variety of activities. ESGO holds a biennial European Gynaecological Oncology Congress, publishes the International Journal of Gynecological Cancer (IJGC), has set up formal guidelines of training in gynaecological oncology and runs European hospital accreditation. Annually ESGO organises numerous educational workshops with special emphasis on European countries where facilities and education is lacking, and also provides traveling fellowships to enhance communication and mobility within different European institutions. ESGO focuses special attention on education through eAcademy, an exclusive interactive educational online portal. The knowledge portal features the latest ESGO congresses presentations given by internationally-renowned speakers on specialised issues of clinical importance in gynaecological oncology. ESGO initiated several highly successful networks and special interest groups such as ENGAGe (European Network of Gynae Oncological Advocacy groups) or ENYGO (European Network of Young gynaecological Oncologists) - a vibrant section of ESGO that brings together, and represents the needs and aspirations of trainees and the younger generation of professionals in our field. 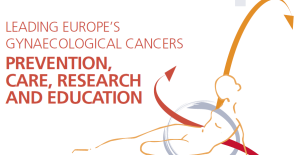 ESGO also facilitates and supports ENGOT (European Network of Gynae Oncological Trial Groups), and integrates different networks active in gynaecological cancer research like ENITEC, ENTRIGO and others. Explore ESGO's website and discover the privileges of being an ESGO member. ESGO members all have different histories, different customs and different languages, but they all have the same mission – to do the best they can to improve the survival and quality of life of European women with Gynaecological (genital and breast) cancers. Join ESGO and become part of the European Voice of Gynecological Oncology. View full details of ESGO council members. 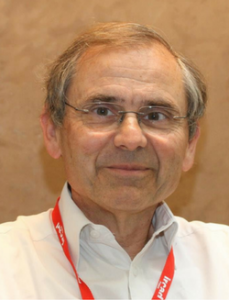 Denis Querleu presents the vision for the society in an ever-changing world.